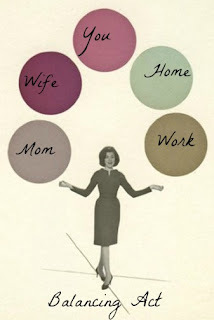 Hentown Mama: Balancing Act- Why are they so different? Go ahead and resign yourself to the fact that your husband is a different creature than you are. He came from a different planet even. Life would be easier if they weren't so different, right? So here's my suggestion. Apparently you liked something about him so putting a little bit of work into this shouldn't be that hard. Find out his love language. Don't know about those? Gary Chapman wrote a couple of books about them. Check on of them out. There are 5 of them. You will be amazed at the difference knowing that one piece of information will change everything. It also helps to know yours by the way. Embrace the differences. They say opposites attract and I know that is the case with my hubby and I. We have polar opposite love languages too. I have to remind myself of that all the time. But learning that changed my perspective a lot. It's good information to have.